From every hire, $10 goes to the Olivia Newton John Cancer Wellness Centre to help support people going through cancer treatment. The entire team also wear pink Steele Blue boots, $10 from every pair is donated to help support women affected with breast cancer. 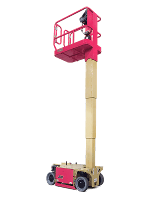 Pink Boots Hire is a family operated business providing a personable and reliable service on Scissors Lifts, All Terrain Machines, Cherry Pickers and Knuckle Booms. 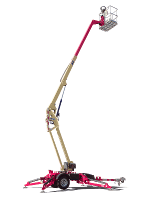 Every machine hire and our complete uniform is supporting two causes very close to our hearts. Jessica Gilchrist was diagnosed with Cancer in 2015 and was cared for by the Olivia Newton-John Cancer Wellness & Research Centre during her treatment. Saying the treatment was tough is an understatement, but this centre made her feel at home every day when she walked in the doors. They treated Jess like family. We want every patient to have this same experience so to help support, we are donating $10 from every hire. 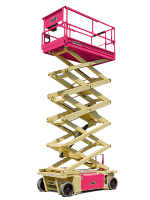 Here at Pink Boots Hire, we have been providing our clients all across the Melbourne Bayside & Melbourne SE & Eastern Suburbs with outstanding cherry picker hire services since 2016. 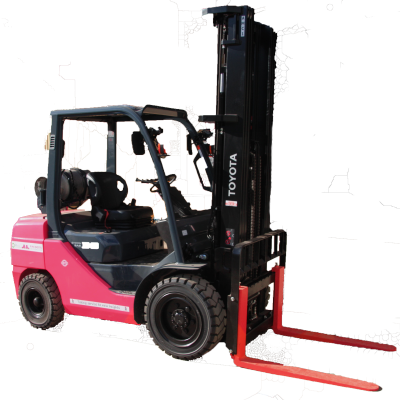 From scissor lifts and knuckle boom lifts to a range of other access equipment, we can supply them all from our conveniently located depot at in Bayswater. Our service area includes Melbourne Bayside Suburbs and Frankston, Dandenong, Box Hill, Ferntree Gully, Burwood, Ringwood, Donvale, Nunawading, Heidelberg, Oakleigh and more… Just ask us! 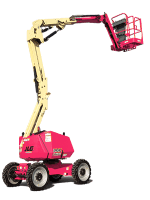 As a local family owned and operated business, we understand how important it is for our customers to receive expert and friendly service from a team of dedicated cherry picker hire specialists. We have a wealth of experience in assisting a diverse range of industries from sign writers, plumbers, labourers, electricians, tree loppers, painters, roofers and anyone else who needs to work at heights. Flexibility and customer service are right at the top of our list of business priorities and that is why we are available to our clients Monday through Sunday. As a customer-driven and focused operation, we are constantly listening to the needs of our clients to ensure that we can expertly meet their requirements every single time. Pink Boots is a non-for-profit foundation established by the Gilchrist family following Jessica Gilchrist’s diagnosis with cancer in 2015. All funds raised goes towards the Olivia Newton-John Cancer Wellness & Research Centre and its programs. 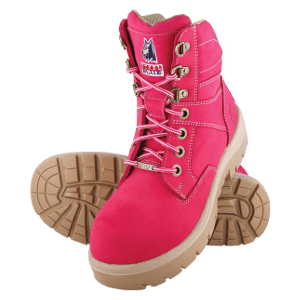 Copyright TEXT Pink Boots Hire - All Rights Reserved.